This question is very easy for me to answer… because I am the mother of twins. My boys are fourteen years old now, but it seems like just yesterday that I brought them home as infants. I remember a lot of joy from their first year of life. Quite honestly there’s a lot I think I blocked out! But one thing I remember with crystal clarity is how tired I was. Eight feedings a day times two. Endless diaper changes. Mounds of laundry. Plus all the anxiety and fear that comes along with being a brand new mother. For me, it gave new meaning to the word exhaustion – a tiredness that went straight through to the very marrow of my bones. I remember when the boys were about six weeks old, I had to have a very small surgical procedure to have an atypical skin blemish removed from my leg. It was out-patient surgery with general anesthesia. The nurses wondered why I was so excited to be put to under. “Just let me sleep as long as you possibly can!” The kind of rest I needed in those days was rest for my body. The meeting of a biological need with very clear physical symptoms. And so I ask you: How do you know when you are in need of spiritual rest? What are the symptoms of a tired soul? We live in a world where busy lives are the norm. Whether it’s for work, for family, for Church, or even for fun… we’re constantly on the go. Thinking about your lifestyle at this point in time, would you describe it as a state of “being” or a state of “doing”? When I was ten-years-old my family moved to a new house that had a pond in the front yard. 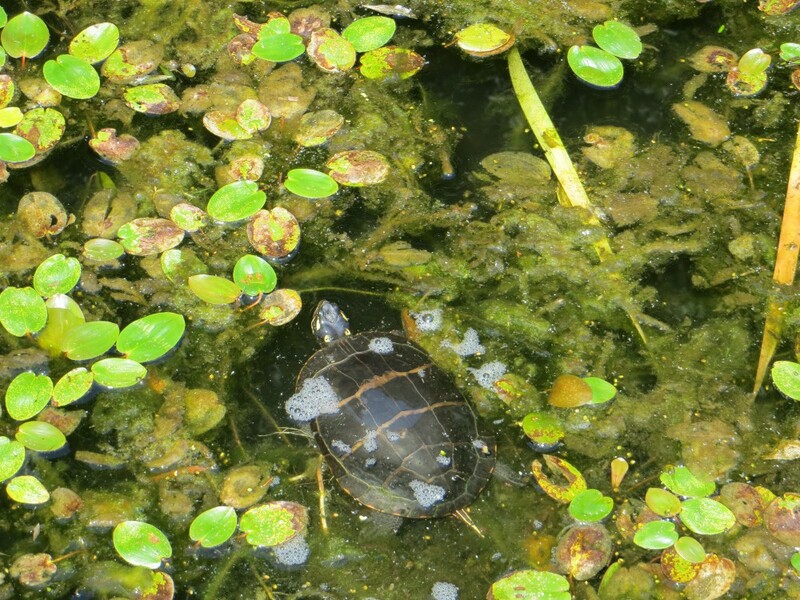 It was quite an ecosystem – frogs and turtles moving in and out of the water. Ducks swooping down and landing with a splash. Added to the mix were the frequent landings of soccer balls or basketballs in the water, an endless stream of skipping stones, and even one time my little sister! As a result, the pond was always murky. The water never had a chance to settle, so you could never really see clearly through to the bottom. This is what our lives look like in a constant state of doing. They become cloudy and churned up. It becomes difficult to see God. To focus on what’s really important. This murkiness is one of the symptoms of a tired soul. Our spirits need to rest, to give that water time to settle. Otherwise we’re always going to be struggling to see clearly. Another way of measuring the state of our souls is by noise level. How noisy is your life? Distractions and chaos can make it very hard to hear and almost impossible to listen. Living in a state of doing is like having a constant hum of white noise in the background. It becomes difficult to really hear God. And we know from Scripture that God isn’t always going to shout to be heard. Sometimes he speaks in a whisper. “Go out and stand before me on the mountain,” the Lord told Elijah. And as he stood there the Lord passed by, and a mighty windstorm hit the mountain; it was such a terrible blast that the rocks were torn loose, but the Lord was not in the wind. After the wind, there was an earthquake, but the Lord was not in the earthquake. And after the earthquake, there was a fire, but the Lord was not in the fire. And after the fire, there was the sound of a gentle whisper. When Elijah heard it, he wrapped his face in his scarf and went out and stood at the entrance of the cave. In order to hear God’s gentle whisper, we need to come away to a quiet place. To shut out the world of distractions and really listen. Just as a physically tired body needs sleep to feel rested and restored, one who is spiritually tired needs quiet and stillness. That is my hope and prayer for this blog… that it may become a starting place where God will come to you in the stillness and whisper to you. Words of love and messages that are unique and meant for your ears alone. Thank you for reading… and God bless. Sheri, this is genius! I am soaking in your words with great contemplation. I love the concept of the murky pond water not allowing you to see the bottom, equating it to our “murky” lives shielding us from the view of God. I love it. I can’t wait to be a regular reader of your blog, “Hearing God’s Whisper.” Congratulations! Thanks Kathleen! I hope you continue to enjoy these posts.